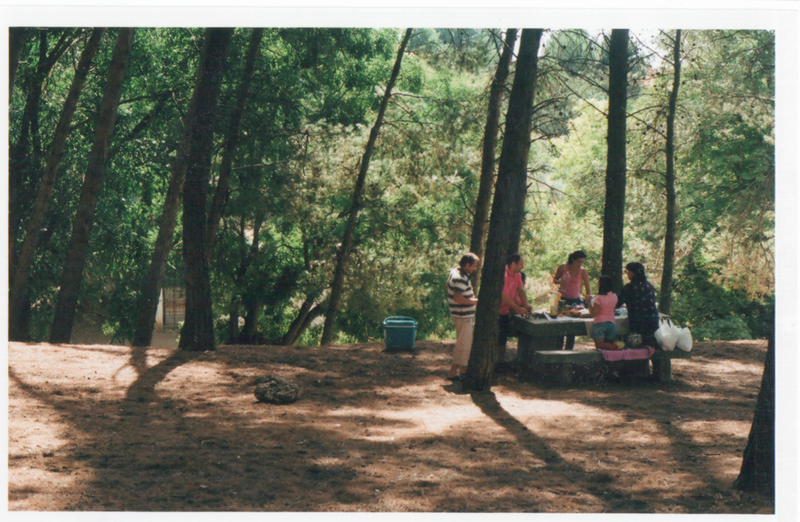 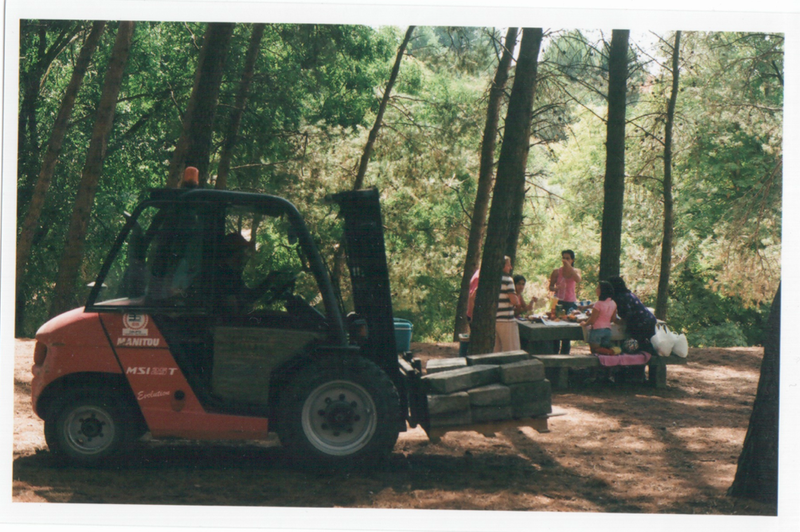 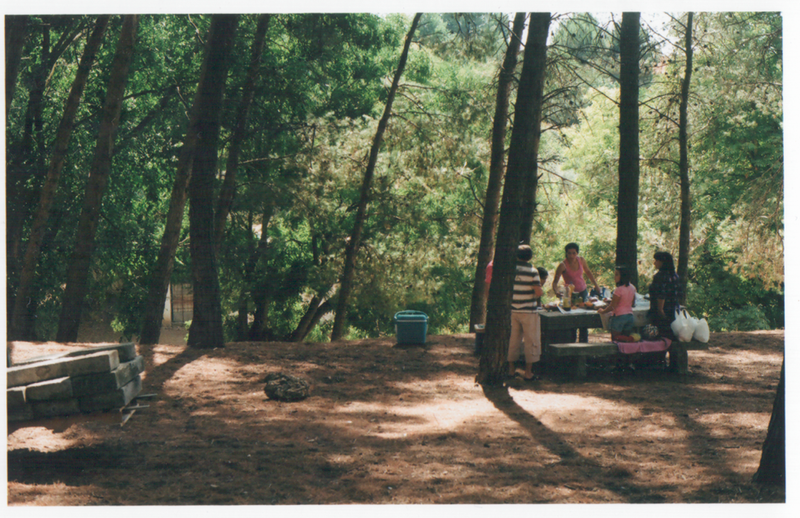 In Spain, when "natural" areas became a popular weekend destination for the « domingueros » – large family groups, simply enjoying food and each other’s company al fresco - outdoor furniture was built to respond to their recreation needs. 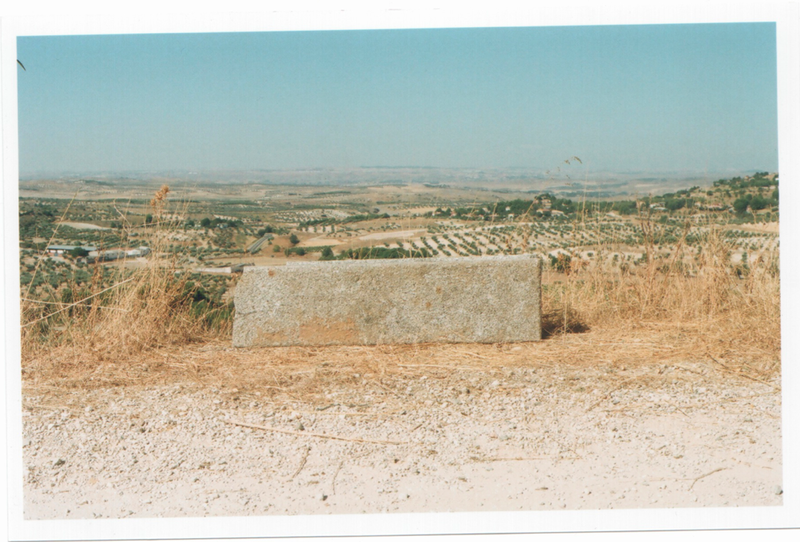 At Valquejigoso, a green and protected area in the municipal area of Chinchón - a historic town 40km south of Madrid - the furniture is to this day fashioned from monolithic blocks of granite. 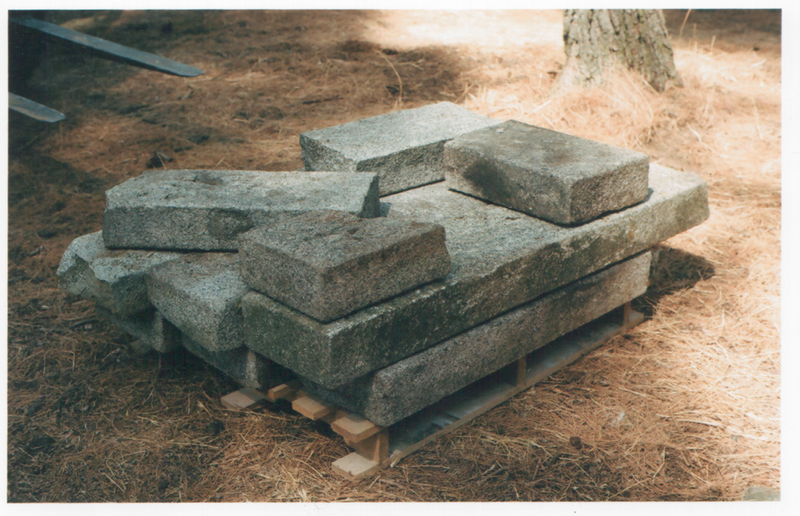 Once damaged, the blocks of granite are left on site, gradually accumulating next to their replacements. 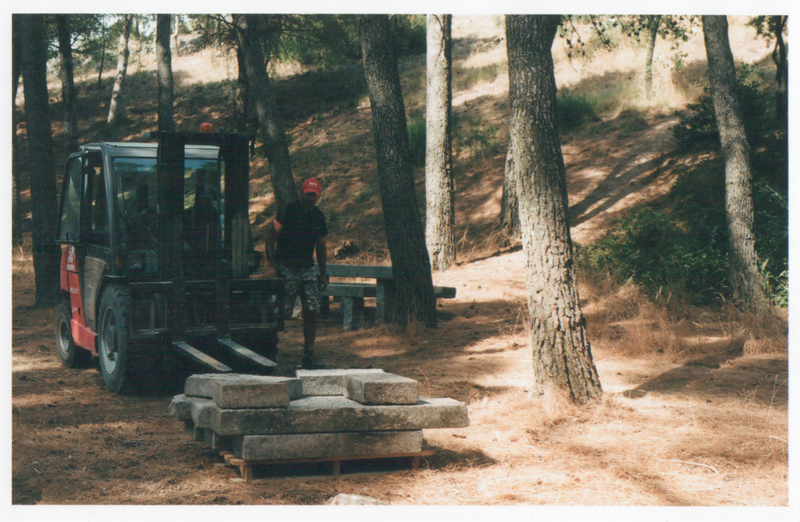 We approached several political actors at municipal level with a proposal to reuse some of these blocks to reconstitute benches along the country path that connects Valquejigoso with the town. 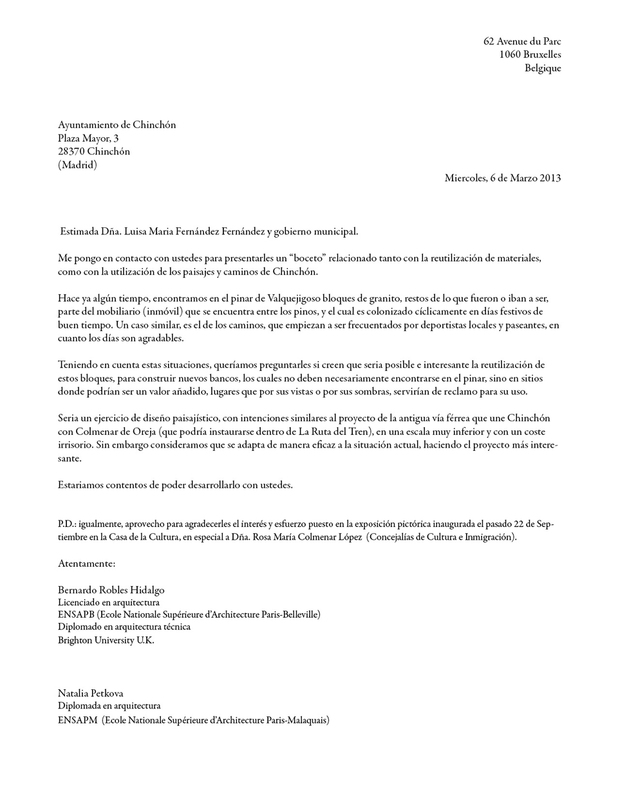 Following several months without response, we arranged a meeting with Don Miguel Angel Moya Gaitero, the municipal advisor on urbanism. 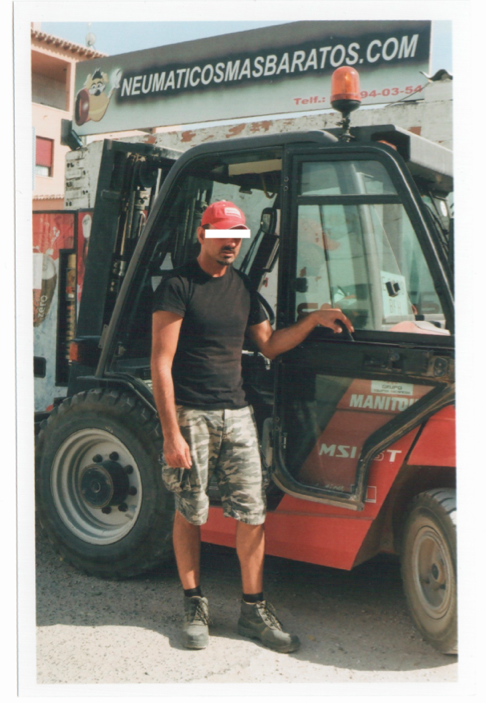 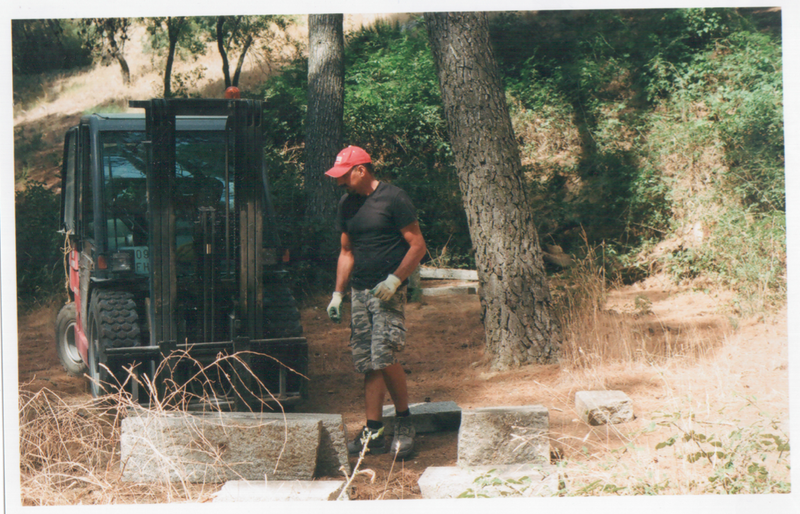 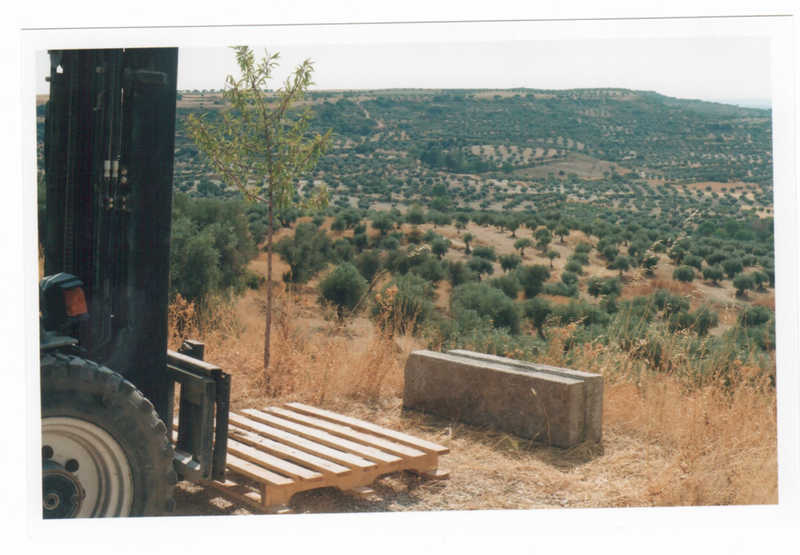 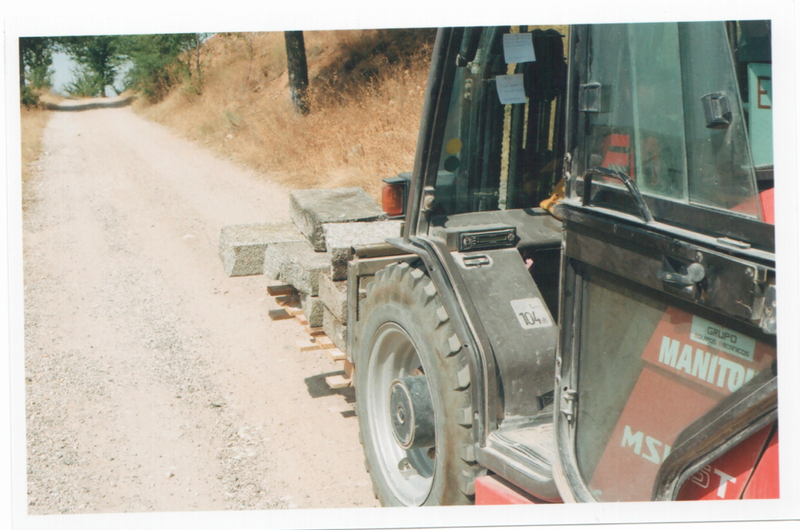 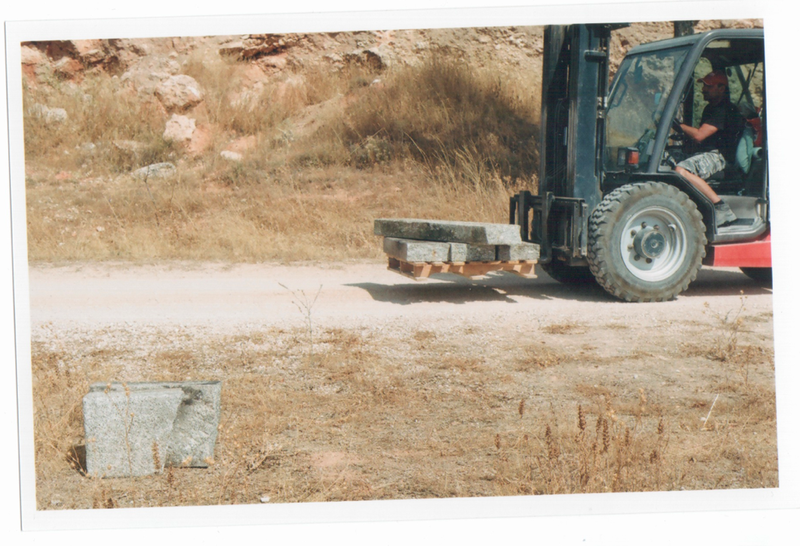 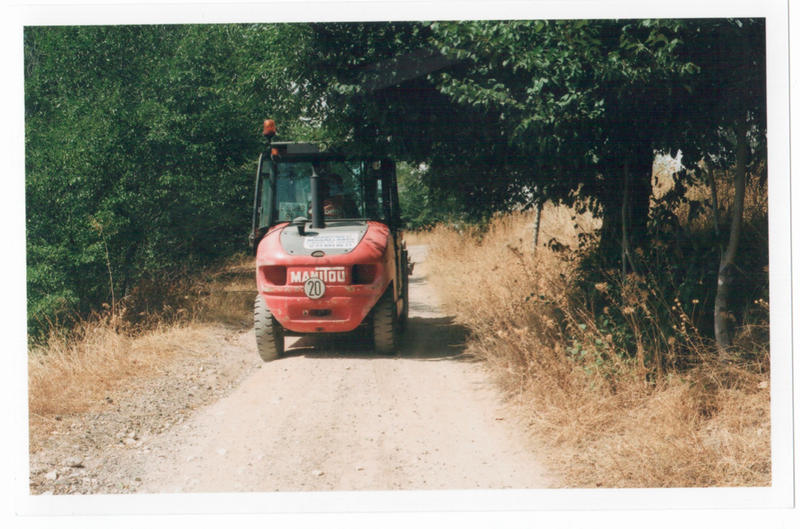 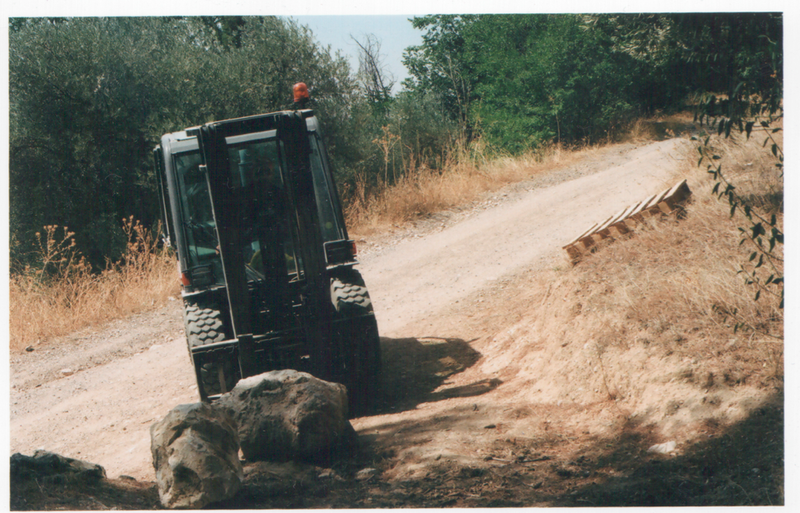 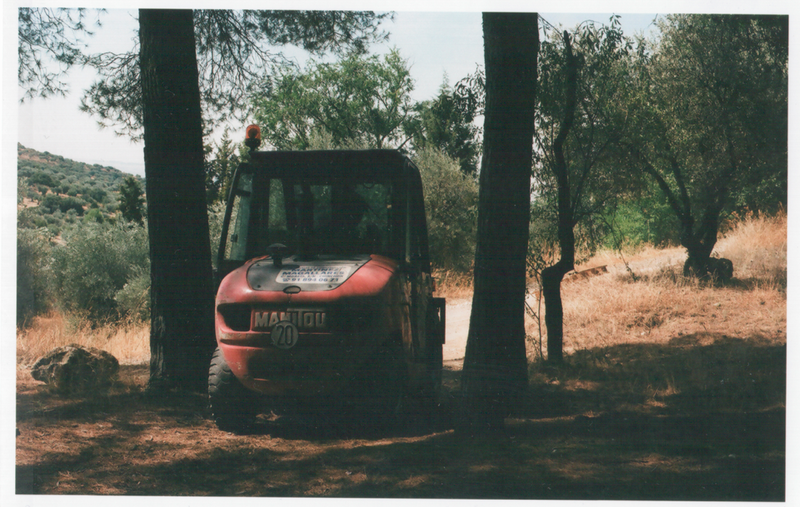 We were assured by Don Miguel that the stones would be removed immediately, stored properly, and, at some future point, used to improve the town's streets. 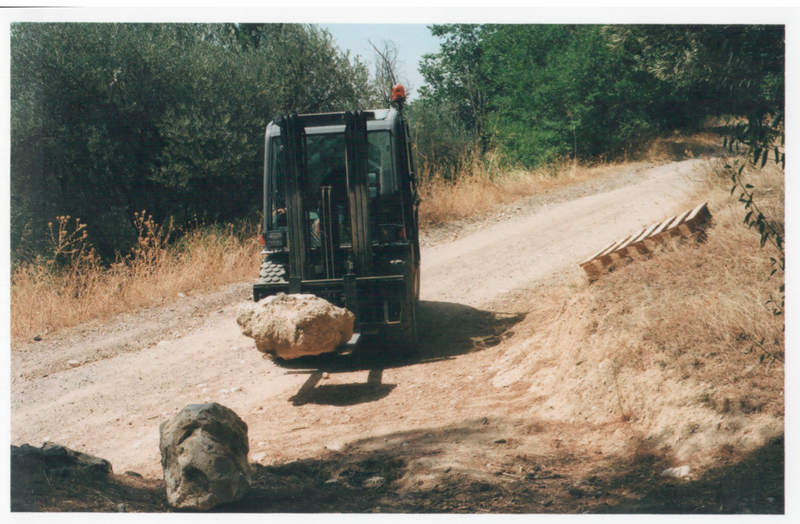 As months went by and the stones remained put, we decided to take them ourselves and lay them along the path. 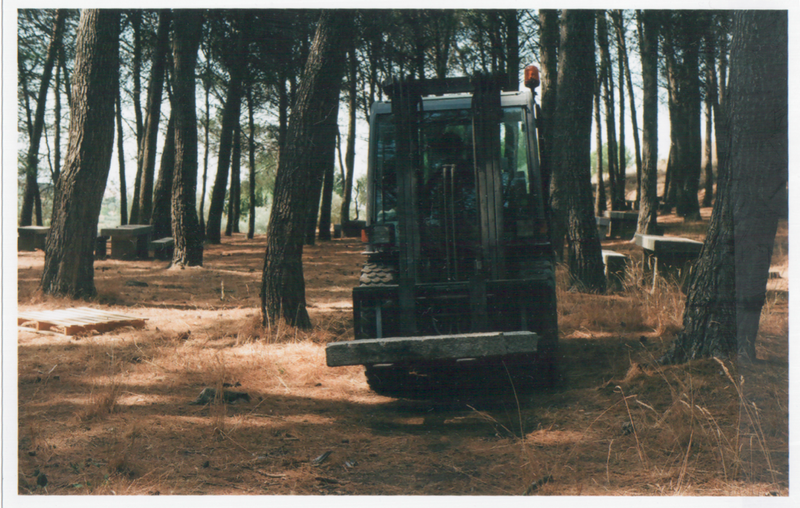 Within a week some of them had been removed. 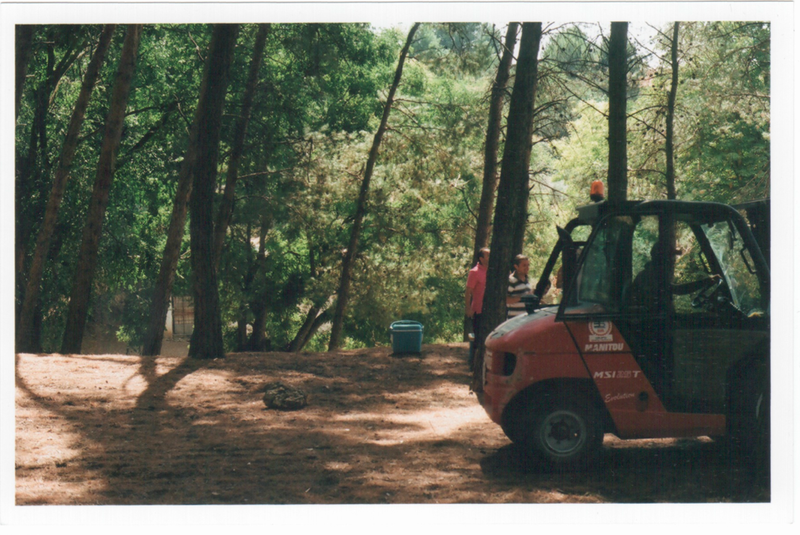 We have not yet determined their whereabouts. 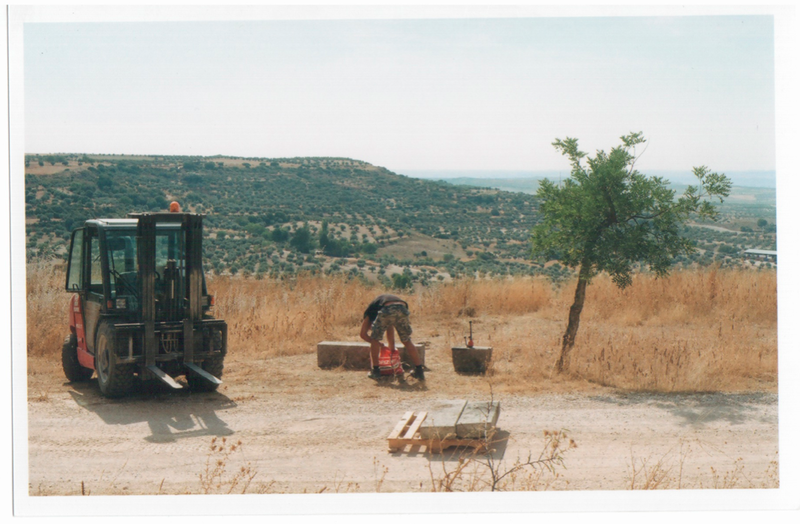 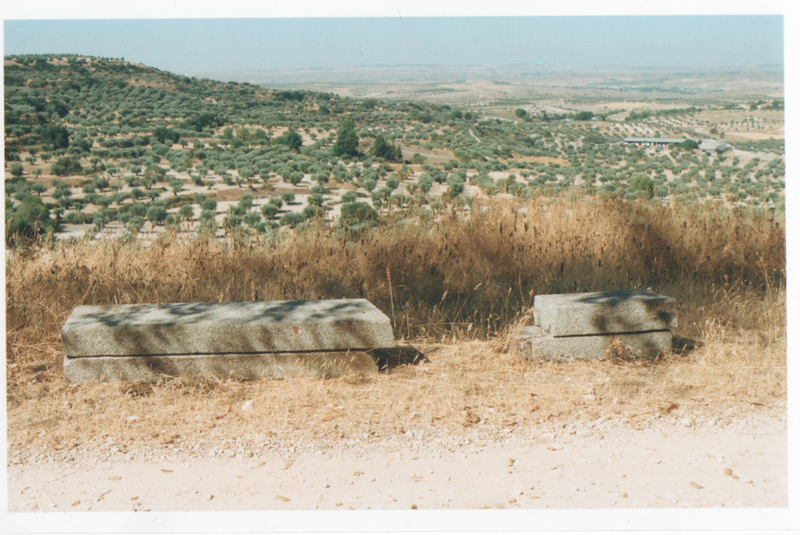 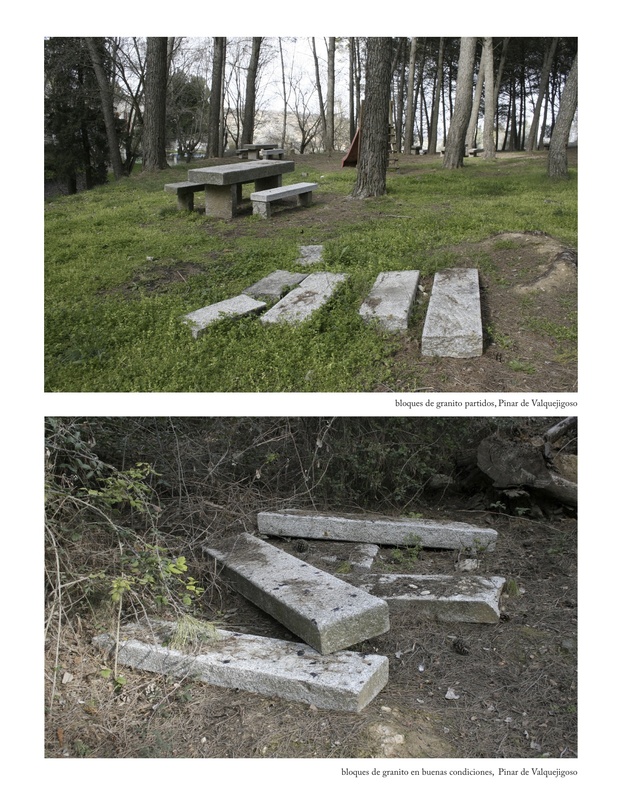 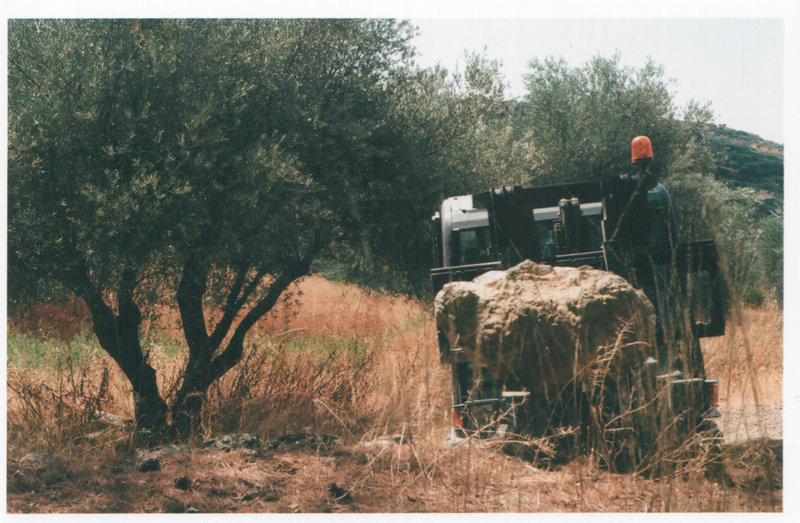 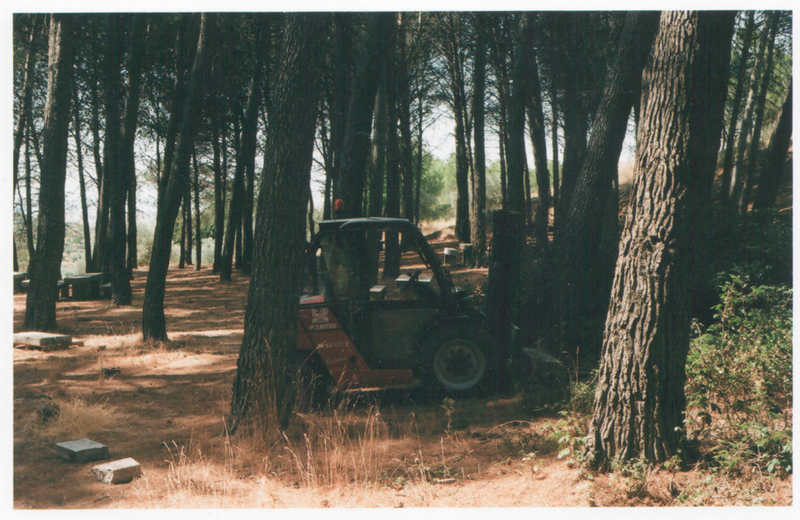 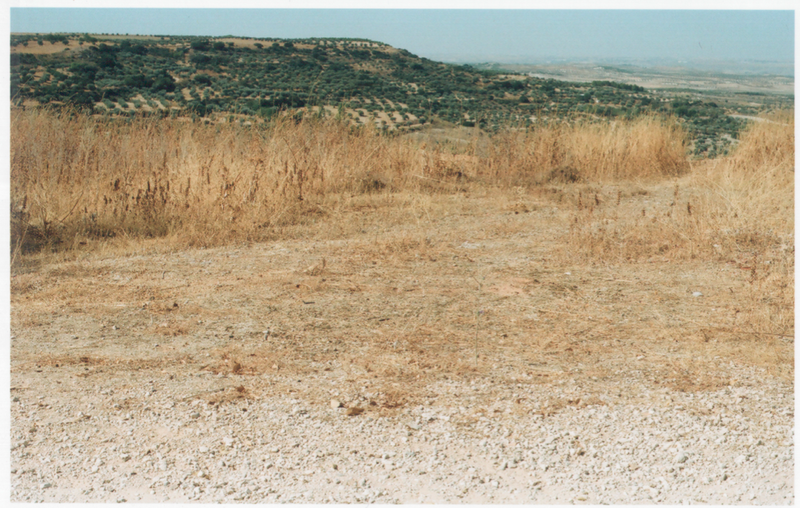 The following images constitute the documentation produced during and after the intervention (once one of the benches had been removed). 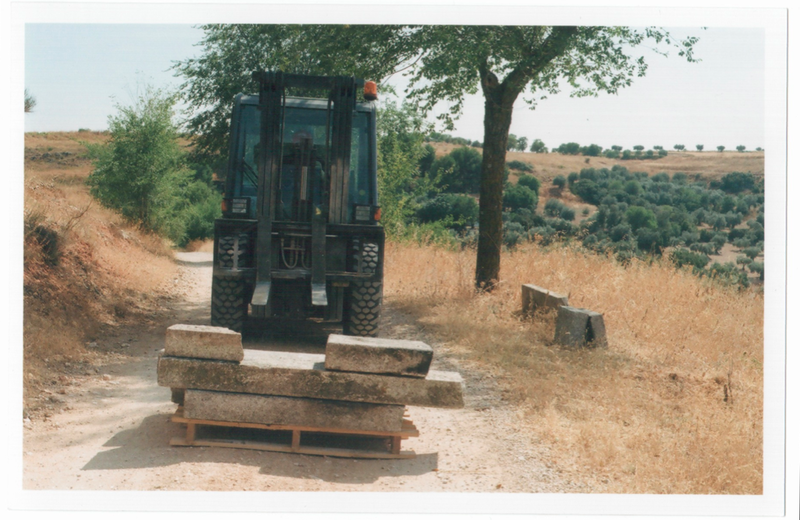 Included is also the letter to the municipality, outlining our proposal for the blocks of granite.